This Practice provides details for the installation of differential pressure transmitters in liquid level service. This Practice contains installation details for differential pressure transmitters in liquid level service and includes details for electric or steam tracing of these installations. These details describe the base instrument installations. 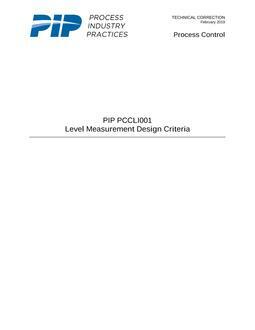 The bill of material provided with each detail is generic and is complementary to PIP PCSIP001- Instrument Piping and Tubing Systems Specifications.